Once you have finished planning, the time comes to start working on bringing your e-commerce website to life. You have a vision of what you want to do and you have your goals in mind. Now it is time to realize this vision by creating a store that perfectly reflects your idea. To begin with, you will consider using one of the e-commerce platforms as a website integration that will enable you to take advantage of numerous features to set up and manage an online store. There are three pricing plans, starting from Basic Shopify, available at $29 per month. For a growing business, you might want to consider Shopify plan ($79 per month) or even Advanced Shopify ($299 per month) which includes more advanced features, such as reports. Shopify Plus is an enterprise-grade solution but to find out more, you will have to send an inquiry. Finally, if you want to sell on Facebook exclusively, you might want to explore options offered by Shopify Lite, available at $9 per month. 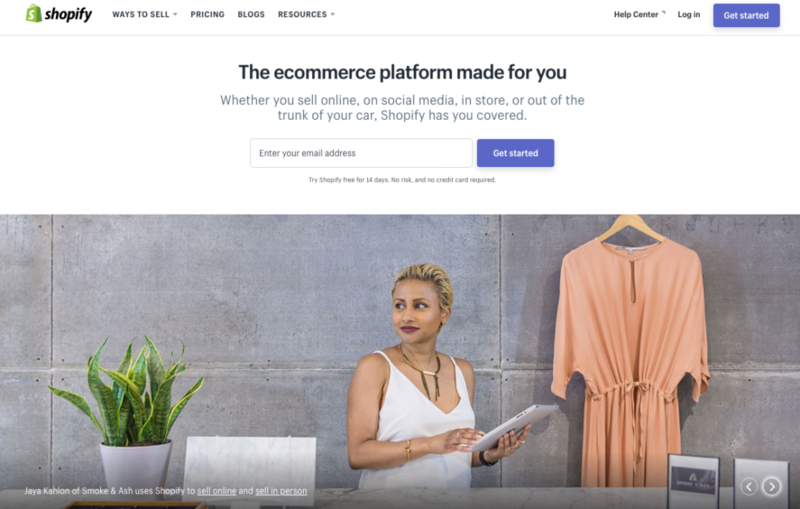 Ability to connect with a Facebook page and sell on this social network, as well as a mobile-friendly shopping cart, are the features that certainly make Shopify a platform suitable for reaching online users. The process of using the platforms is also pretty straightforward with simple design and integration of 70 external payment gateways, making accepting payments easy.SEO tools and secure hosting are also benefits offered by the platform. The main drawback is the fact that running the store might become a bit costly, with additional extensions which are paid separately, or when you do not use Shopify Payment, in which case additional transaction fee is applied for every sale. There are not many plugins because the platform itself is very customizable and already provides a set of integrations to help you optimize and boost the performance of the online store. The plans start with the Standard plan (available at $29.95 per month), the most popular Plus plan ($79.95 per month) and Pro plan ($249.95 per month). Finally, there is the most advanced solution called Enterprise, but to get more details, you will need to get in touch with the customer support. There is a 15-day free trial period. 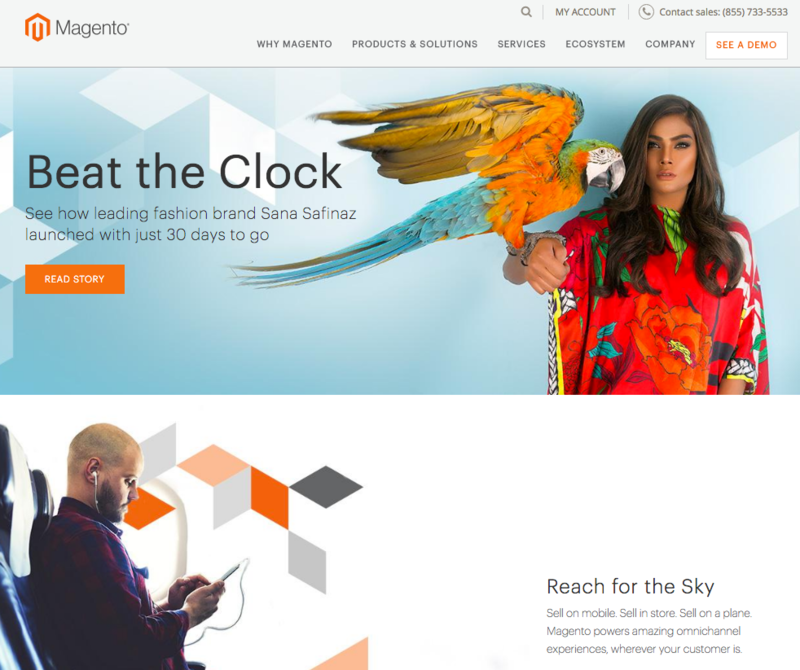 For beginners, Magento offers a free Magento Community Edition platform. It is a good way to experiment with the features and learn how to integrate and grow your e-commerce business with this platform. There is no clear pricing on the website regarding solutions for growing businesses and large enterprises. The best way to find out more is to schedule a free product demo. Comprehensive documentations related to setup, extending, theming, etc. The purpose of these extensions is to provide advanced features and functionalities for running an e-commerce business, which is why it is worth exploring the features and how those can help with optimizing and improving your store and customer experience. 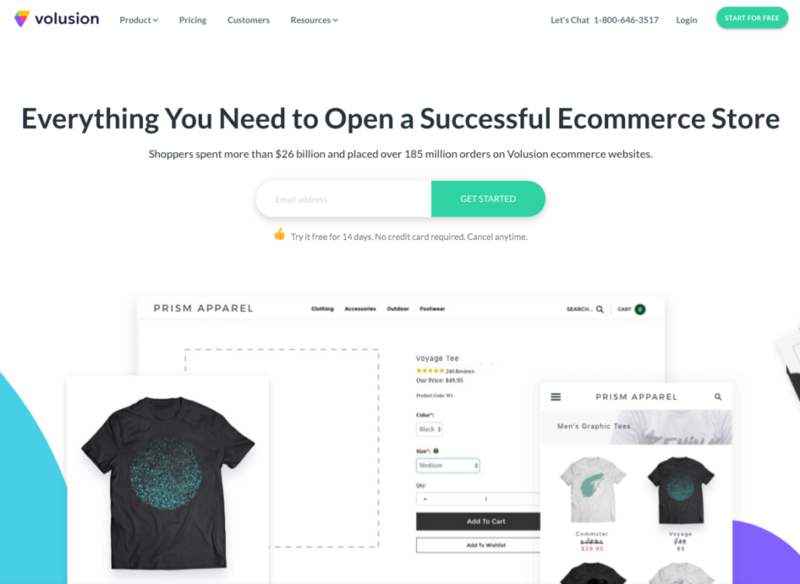 Besides an e-commerce platform, Volusionis an all-in one solution with options to grow your business with built-in SEO management, newsletters, and CRM system. This provides an interesting option for hosting an e-commerce website even if you are only starting out and exploring the market. You can upgrade at any moment enabling you to unlock more features you might need as your business grows. 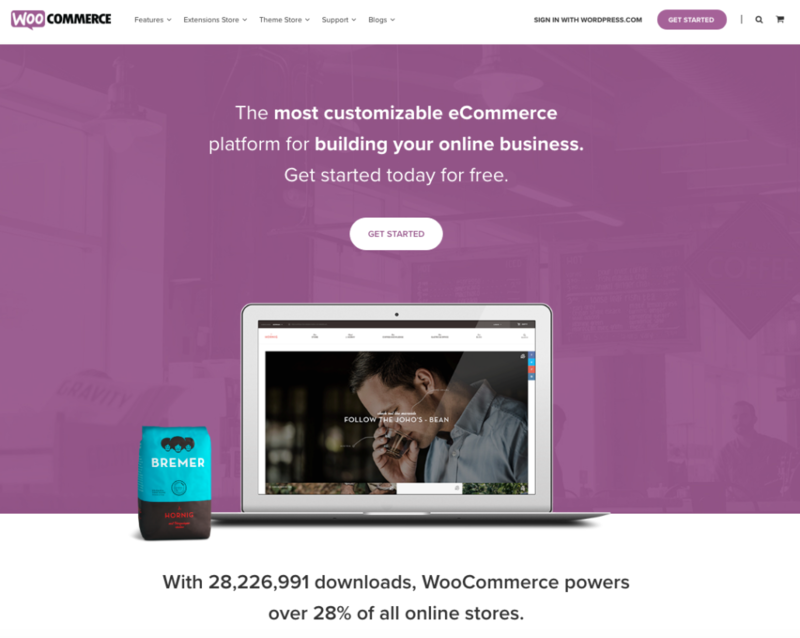 With comprehensive website builder and responsive themes, the platform allows creating high-quality e-commerce websites with no coding experience. You will have full control of managing the content, with customization options to help you explore the benefits of your content. 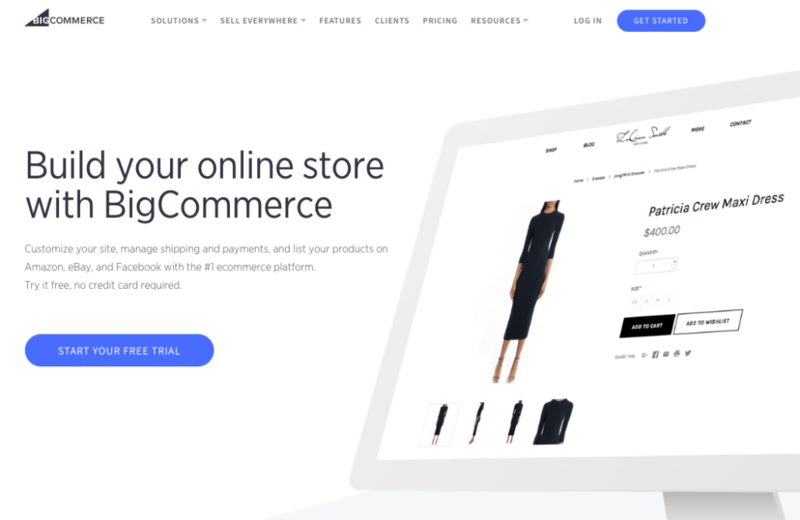 It is quite easy to connect the platform with the most popular tools for an e-commerce business that provides additional functionalities. Finally, the built-in SEO management and reporting features are powerful options to explore the influence of your website and your content, which helps with running your online business. You will notice a lot of similarities between platforms we have mentioned here, and chances are you will find more platforms that provide a solution for running an e-commerce website. The choice should be based on the needs of your company and the budget you can provide for the platform integration. When it comes to choosing different plans, try using the solution that is enough for your current needs, but always make sure that there is a possibility to upgrade to a more compressive solution once you need it.